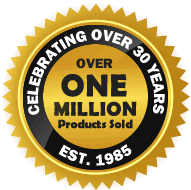 Over the years we have taken on some exciting projects and manufactured some fantastic and unique products for our customers, and we now have a legacy of satisfied customers. All feedback on this page is genuine and permission has been obtained in order to add these comments to this page. If you wish to provide your own feedback on the product or service provided by us please don't hesitate to email us at: sales@duration.co.uk. If you are happy for your comments (positive & negative) to be added to our website, please remember to give us your permission. I am in receipt of my new patio doors, fitted by [name removed], and they are fabulous. Everyone at Duration has been so friendly and so helpful it's been a pleasure doing business with you. I had a lot of help and support from Mick and Steve so a special thanks to them. I wanted to drop a note to say how pleased I am with the doors and windows you provided. They all fitted perfectly and have a very reassuringly high quality look and feel. The doors slide perfectly and look fantastic in situ, as do the windows. The pre and post sales was great... The staff were all extremely helpful throughout the process. Had a three panel room divider fitted between our sitting room and a new conservatory three years ago. Looks great and works well. My conservatory company had not come across Duration before but I believe they have used your products again since then. Re: 3 pane room divider - just to say thanks very much to everyone concerned for a great product and for the great service. I installed the doors the day they arrived - no problems at all. ...my husband searched the internet and found exactly what was required on your website and at a very acceptable price. The architect, having no knowledge of your company was somewhat reticent, especially in view of the price quoted. ...we visited your factory and were delighted with the service we received and to be able to see the product in your display setting. We now have a set of patio doors which provide us every day with a magnificent view of our local river and beautiful countryside. They sliding door sections operate with ease and the whole unit is a credit to Essex workmanship. ...I will be more than happy to provide you with a testimonial of my satisfaction. ...they are extremely well made. Thanks again and I will definitely use Duration for any other windows I need in the future. Just to thank you and makers of my stable door, finally fitted and looking good!! Thank you again.